The Fertility Cleanse focuses on supporting and nourishing your body, so the first step is to remove all of the toxic foods from your kitchen. 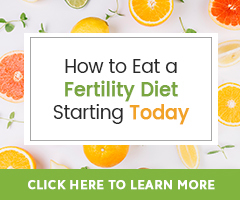 The second step is to create a fertile kitchen full of nourishing foods that make up a fertility diet. Always remember with lifestyle changes… be patient and gentle with yourself. 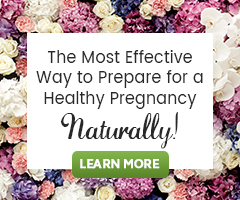 You can do the Fertility Cleanse regardless of what your diet looks like or what your diet philosophy is. Please do not wait to do this cleanse until you are eating perfectly. Do the best you can by starting to transition to the Fertility Diet one step at a time. But you can start your Fertility Cleanse while you are making baby steps towards the Fertility Diet. Eat low amounts of Dairy products and they must be organic. Eat all red meats Grass Fed and Organic. Eat all chicken free range/Organic. Eat all grains in whole, natural form. Eat carbohydrates in equal amounts with protein. Eat something high in enzymes with every meal. No soy of any form unless fermented- miso, tempeh. No refined sugars or fruit juices (unless freshly juiced). p.s. I also have gout and control it with a smoothie and need to stay off all red meat and best to stay off all meat,,altho I do eat some chicken. I find it very hard to stop all meat. I would advise against using Truvia. It is an artificial sweetener. It would be better if you bake to use organic, non-gmo sugar (brown and white) or coconut sugar, but only in moderation, as Sugar May Contribute to Infertility. I am not that familiar with Goko Cleanser, but anything herbal that claims to “cure” or be for “ultimate combat for more than 50 diseases which disturbs human health” is very far-fetched. I mean one may feel something happen, but these claims are likely to be invalid. Yet, with that I can not speak from having used this product. Because of the way soy products are produced, marketed and sold, we feel that soy products in the diet contain concentrated forms of phytoestrogens, which may lead to estrogen dominance. Because you are making your own, they isoflavone content may not be as high as processed soy food products. Soy has the highest content of isoflavones of any plant, so you should take this into consideration, especially if you are relying on soy alone to obtain protein. Consider eating a wide variety of beans, nuts, and seeds, this will help to balance out the sources of phytoestrogens. What food do I eat every day for the 21 day cleanse and how much food? I think you are speaking of the 21 Day Fertility Diet Challenge. It does not have a strict set of rules…just be sure to get in your Important 5. -Dark leafy and cruciferous vegetables such as chard, spinach, broccoli, cauliflower, and kale. -A large salad with a wide variety of vegetables. -Fiber with each meal to help keep the blood sugar levels balanced. Good sources of fiber are vegetables, beans, seeds, nuts, and grains. -Make sure to get essential fatty acids every day. -Whole grains such as quinoa, brown rice, oats, spelt, millet, amaranth, and buckwheat. -Eat at least three servings of fresh organic fruits a day to provide beneficial antioxidants, fiber, and phytonutrients. I love to use fruit in smoothies with superfoods. -Fertility Specific Nutritional Supplements such as Baby and Me multivitamin, MorDHa omega 3, and others. Can you use Raw Sugar? It would be best to avoid a lot of sugar, but raw sugar is better than refined white sugar. We suggest honey, agave or stevia as a sugar replacement. Eating fresh raw soy beans or frozen ones is fine. Eating processed soy such as soy milk, ect. is not recommended. Im a vegan that blvs that soy products are very nutritious now just read that you suggest that soy products should not be consumed when one is trying to concieve will you please explain that for me. Soy is one of the hottest topics of debate in the health food world today. Why all the differing opinions? Is soy healthy and should we be consuming it like the next magical panacea? Soy beans have been used to make everything from milk, cereal, and baby formula to burgers and butter. I wonder if most people even know what a real soy bean looks like. When soy beans are made into these wide range of products it becomes a denatured, processed food. But that is not even the worst of it. There are so many studies out (bottom of article) that show soy is not a healthy food, they show it may in fact be dangerous…AND that it could negatively affect fertility. This is an excerp from an article Hethir Rodriguez MH, CMT did on soy and it effects on fertility. Click here to read more about SOY.